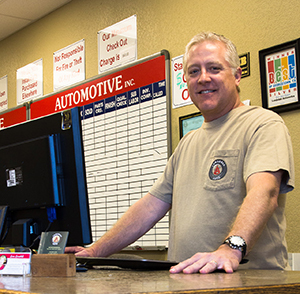 We are Georgetown’s original family owned and operated auto repair facility! We went to school in Georgetown. We spend our money in Georgetown. We are currently training the second generation owners of Lansdale Automotive, our very own sons! We make your service experience hassle-free. We are happy to offer early bird and night-owl drop-box service and a local shuttle service to your home or office. 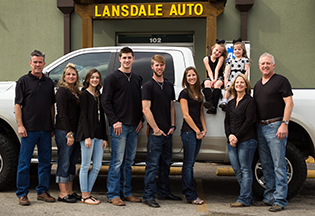 At Lansdale Automotive Inc., we understand how busy you are and want to help keep your vehicle in top condition. We offer free maintenance reminders–when it is time for service, we remember for you! All work is completed in a three-step process. All issues are diagnosed and inspected by an ASE certified technician. Diagnostics are then reviewed by an owner to verify the repairs needed. One of Lansdale Automotive’s owners has the final approval of all repairs sold to customers. The repairs are then discussed directly with the customer to insure an estimate with no surprises. Repairs are performed following the highest quality standards available in the automotive industry. The repairs are then verified by a technician before delivery to one of the on-site owners. 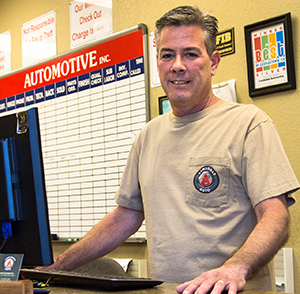 Finally, an on-site owner performs the final inspection on every vehicle, to verify all repairs are performed perfectly. Even oil changes are inspected to insure the highest quality standards. An on-site owner will drive the car a final time to insure all repairs are complete before delivery to the customer. We provide the highest level of quality and integrity not available from corporate chain shops. WE CARE ABOUT YOUR REPAIR!